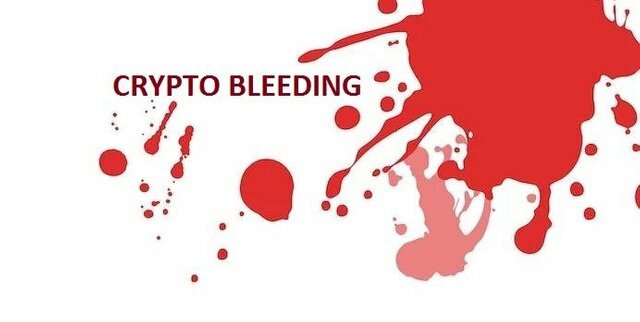 The crypto markets have bled red over the past few days, with coins and tokens now seeing a slight improvement today, August 15th, 2018. The nose dive that many of the alts took is not unfamiliar territory for many cryptocurrencies, but Ethereum has never lost ground so quickly since its meteoric rise last year. The thing is though, the current bear markets are nothing but a product of gross over hype. We are where we are after bleeding through the correction and then some. To drive home this point, let us take the case of Ethereum. It is where it is wont to be. Not because of it being some abysmal failure in terms of a store of value for ICOs or an inadequate platform for Dapps, but due to the fact that its price was driven up by the adoption from new projects launching their ICOs through its smart contract. Ethereum may still be popular for hosting the ICOs, but fund collection has moved to slightly different channels and thus its price lost the steam it had gathered through 2017. The Wall Street dollars are pouring in like monsoon rains and legacy traders and institutional investors are not taking the crypto approved path for putting in their money. The VCs and hedge fund managers betting their dollars are going through SAFT contracts or fiat deposits; not through the Ethereum blockchain. The market is through a much due correction that will separate the wheat from the chaff; good projects will persist to continue their development while half-cocked unplanned ICOs will perish. As will the scams, that will die an unceremonious death. ETH prices dwindling reflect on the market faith in the blockchain and the platform’s ability to see ICOs through. Bitcoin reigns supreme with participants putting in their faith in the premier digital coin. On the other hand, Ethereum is falling short, with its utility as the man in middle for ICOs quickly fading. The touted Ethereum killers, like Wanchain, NEO or EOS may be lurking to dethrone the king of ICOs, that sees a staggering 80% of ICOs released on its blockchain but truth be told, problems of main-chain congestion and slow transaction speeds might not be Ethereum’s biggest problem at the moment. We may or may not see a rise in the market share of projects that wish to replace Ethereum, but we will see the smart contract powering blockchain falter in its rally, never undertaking the bull run that may restore it to its former glory. The glory days for Ethereum may just be past. In the coming times, more projects will branch out from Ethereum and explore other platforms, especially if fund-raising begins to bypass the Ethereum chain. Perhaps, on-chain smart-contract powered platform that accommodates the tastes of Wall Street better may evolve to be a dominant player of the ICO hosting space, but only tomorrow will answer that question. Either way, projects with a vision will survive. The markets are marching slowly but surely towards maturity, and with more VCs and institutional investors getting involved with the crypto landscape, the overall dynamics will continue to change in order to accommodate for the effect of these new entrants.